How do I setup Customer Specific Payment Methods? 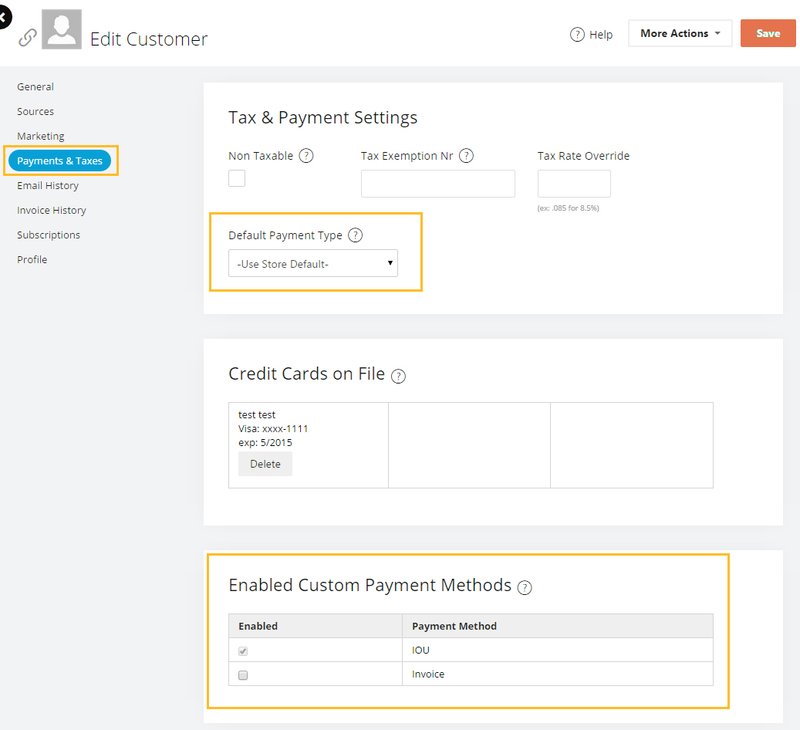 You can use the customer editor to allow custom payment methods for specific customers. This can be used to enable methods like "Purchase Order" only for customers who are approved to use them. 1. Create the custom payment method. Note: The "Admin Only" box should remain unchecked. 2. Mark the custom payment method inactive under Settings > Payments & Taxes > General. Can the same thing be done using API? Yes! This can be done using the `store_payment_methods_enabled` field on the `/api/v1/customers` endpoint.